It’s good news if you want to play The Division 2 ahead of its March release date but haven’t pre-ordered. The Division 2 will seemingly get an open beta on PS4, Xbox One and PC. That’s according to a member of the development team, who let slip during a live stream (via Reddit). There’s no word on an open beta release date or what will be included, but it’s looking increasingly likely. The game has a March 15 release date, so it could take place at the beginning of next month. Express Online has contacted Ubisoft for confirmation. If there is an open beta, then expect it to contain similar content to the recent closed test. 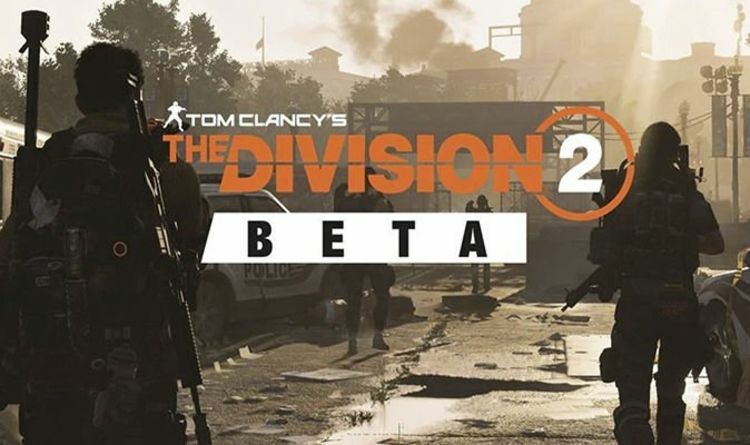 The Division 2 closed beta contained two campaign missions from the main game. “After establishing their Base of Operations in the White House, Agents will venture out into a transformed Washington D.C., unlocking new skills and abilities while they upgrade to a level cap of seven and discover the eastern part of the open world,” Ubisoft explained. Playable in Story, Normal and Hard mode, the main missions were joined by five side missions and countless other open-world activities. Players also had a chance to try out PvPvE gameplay in one of the game’s Dark Zones, not to mention PvP gameplay in Conflict Mode. Ubisoft would then introduce endgame content, including three specialisations and a mission. The Division 2 has a March 15 release date on PS4, Xbox One and PC.